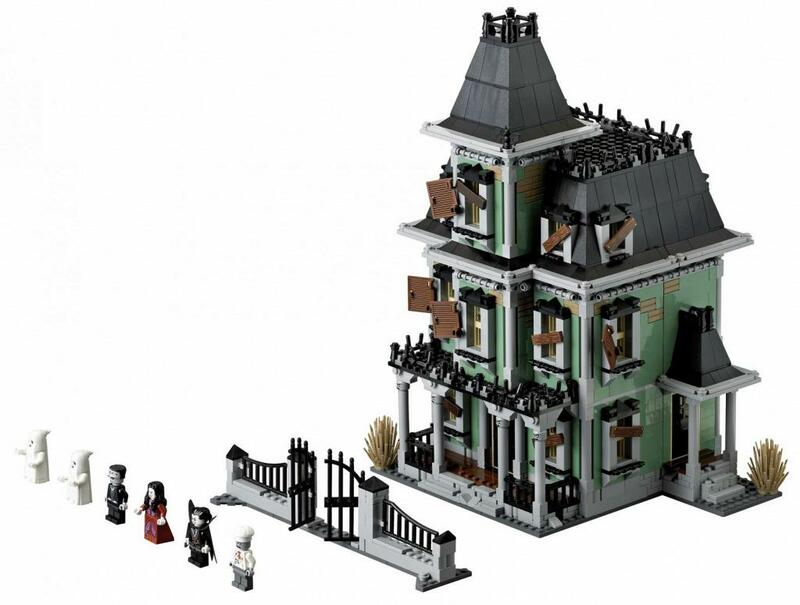 Enter the Haunted House at your peril! 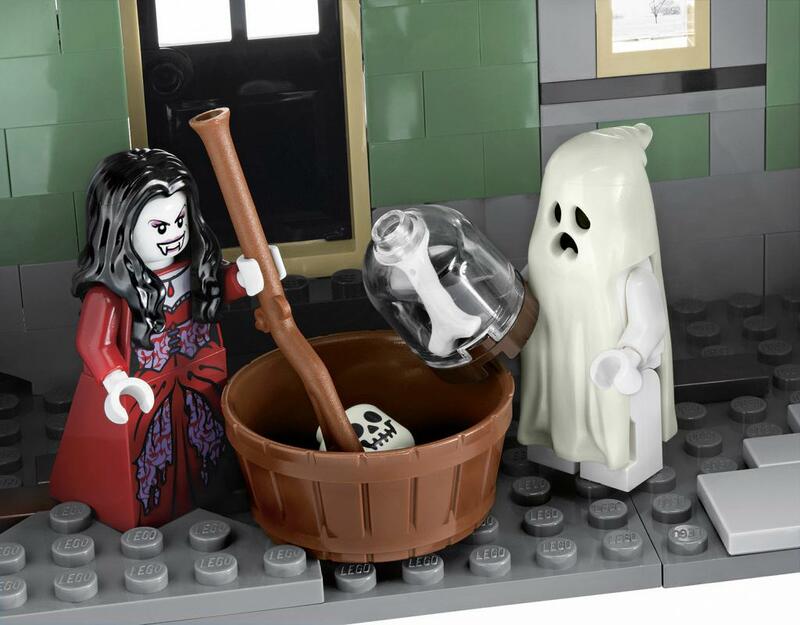 The crooked Haunted House is home to the scariest ghosts and monsters. 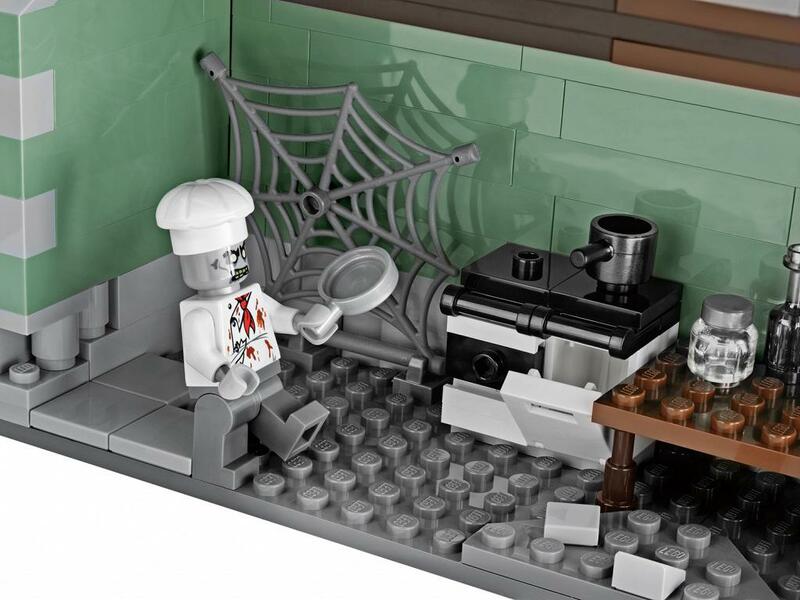 Tremble in fear as you open the gate, go weak at the knees as you step onto the porch and gasp in horror at the fireplace, kitchen, office, folding staircase, bedroom, potion room, music room and collection of other creepy objects. 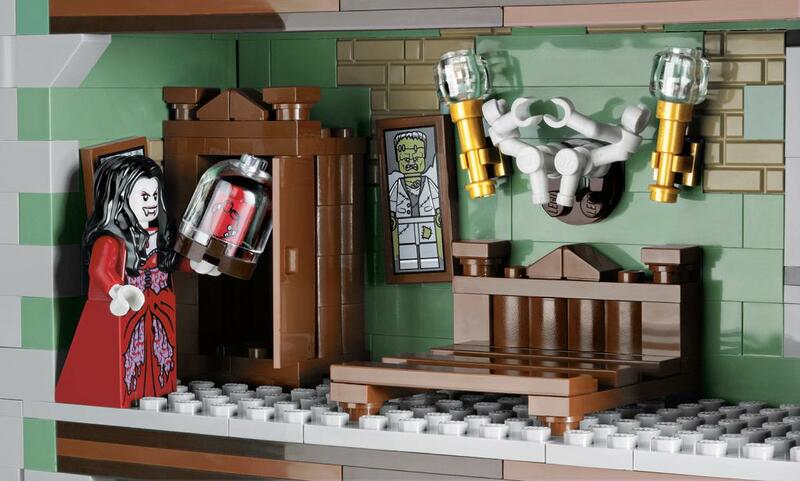 Dare you enter the Haunted House?! 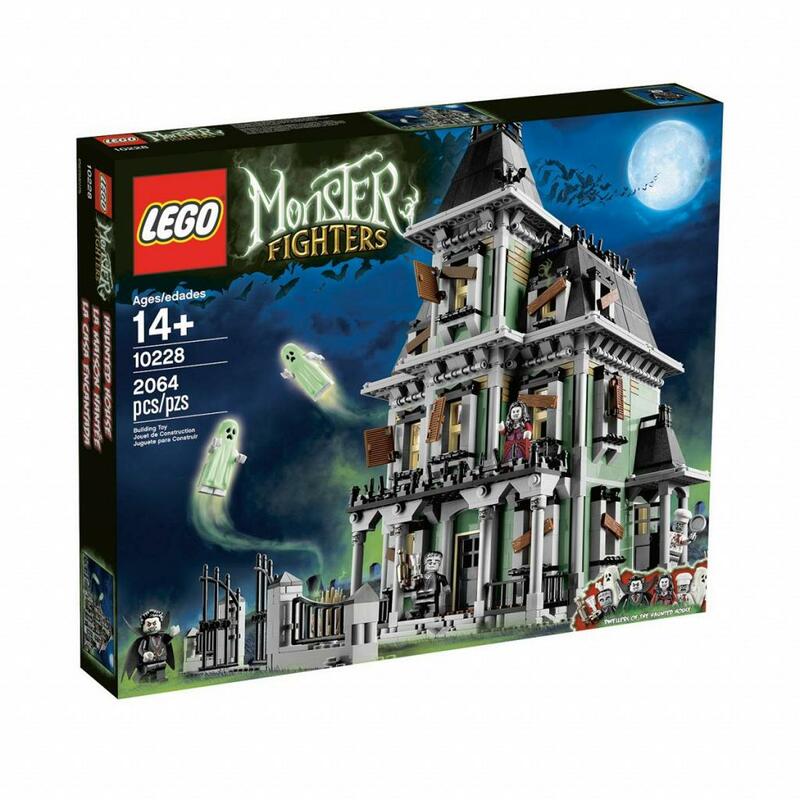 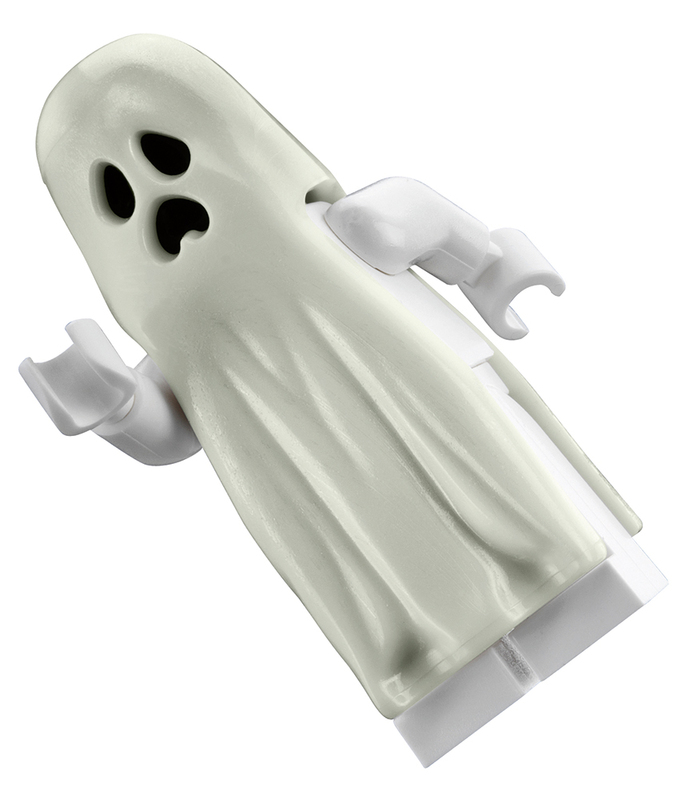 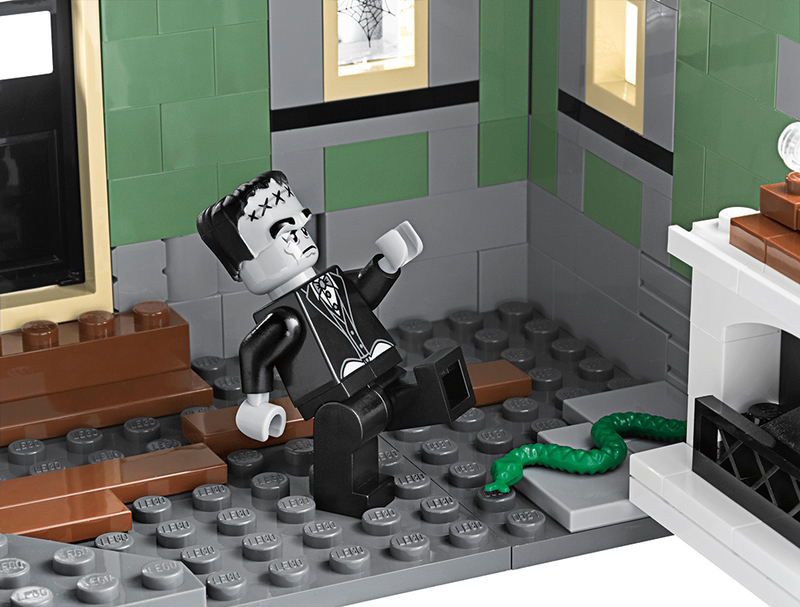 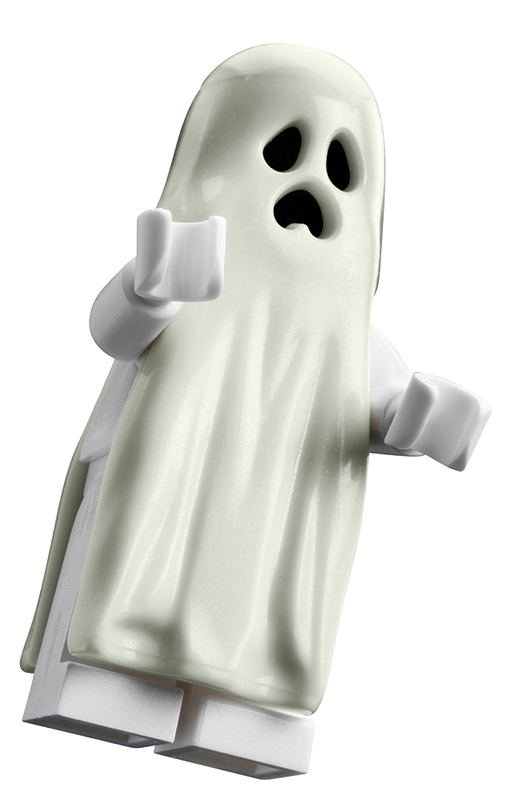 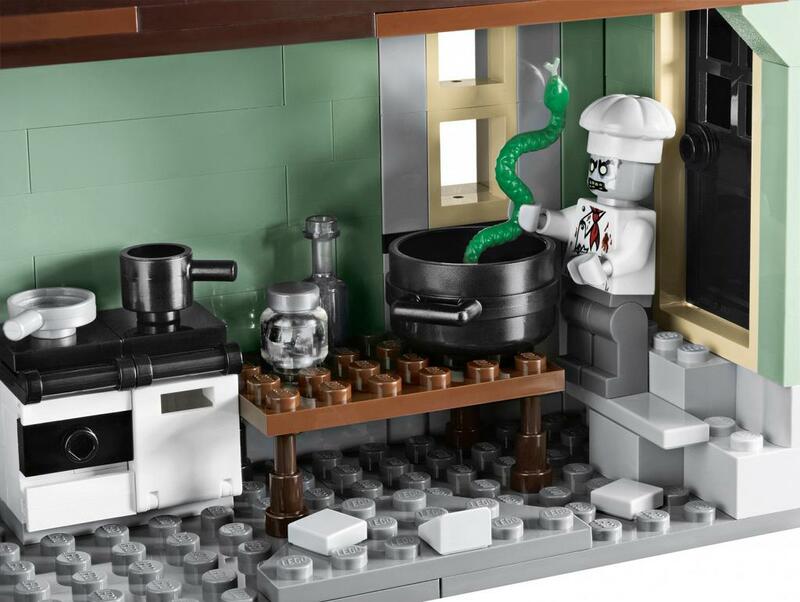 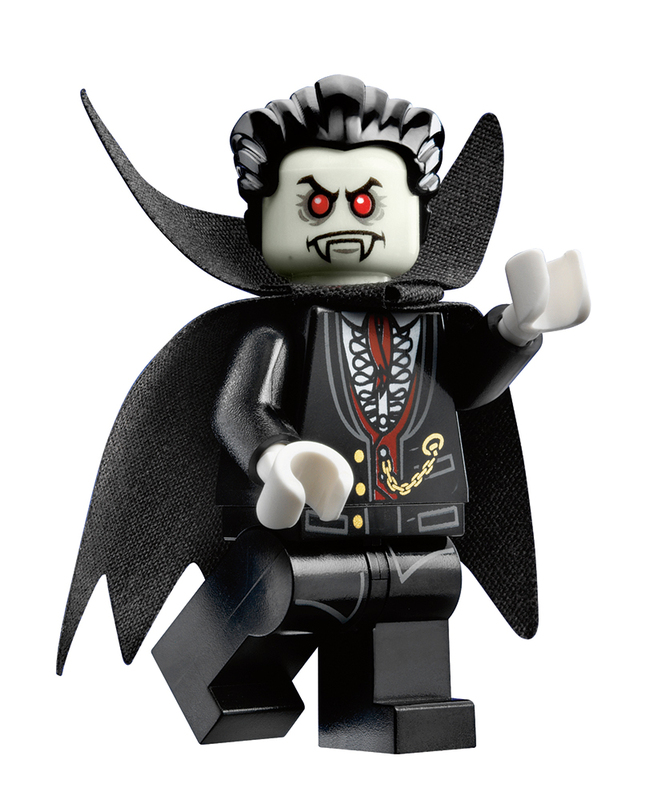 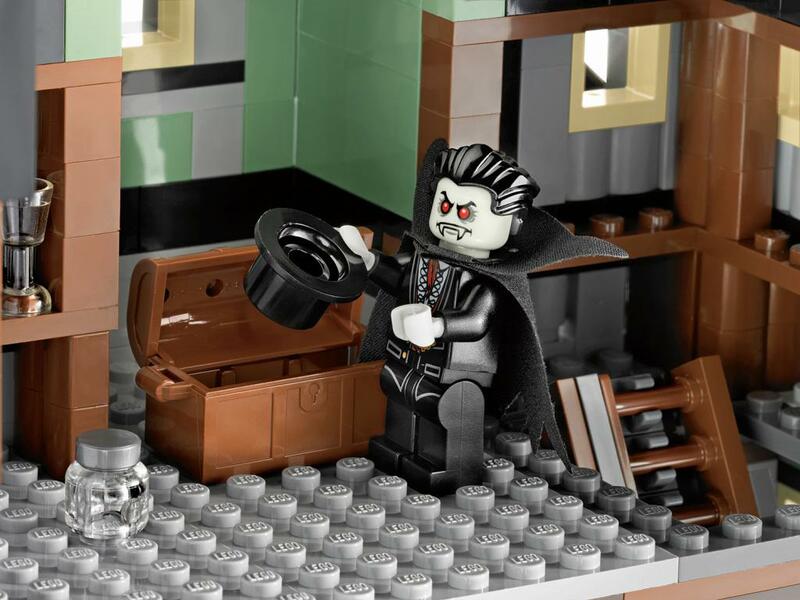 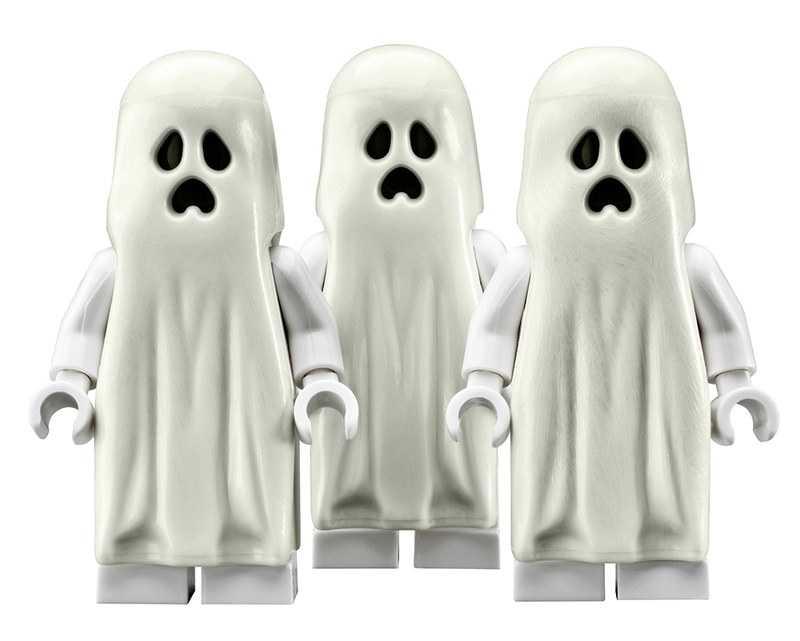 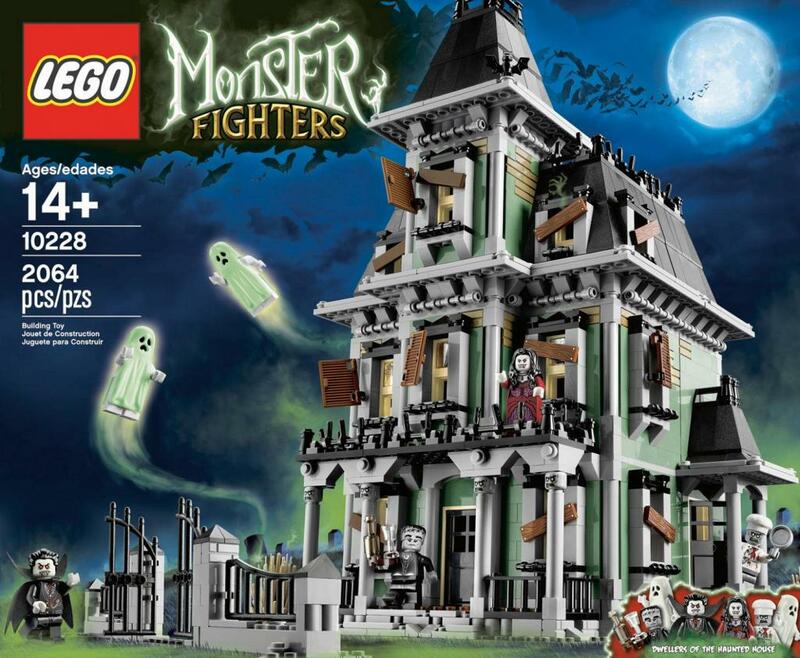 •	Add to your LEGO® Monster Fighters Collection with the first official LEGO® Haunted House! 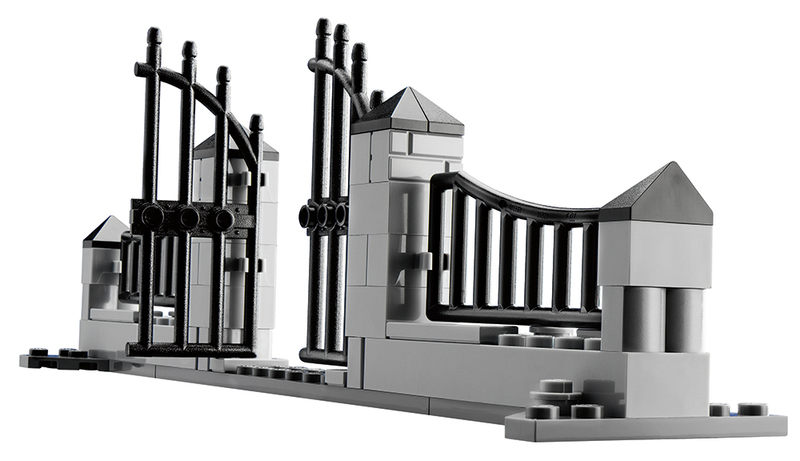 •	Features unique ‘crooked’ design featuring boarded up windows and working front gate. 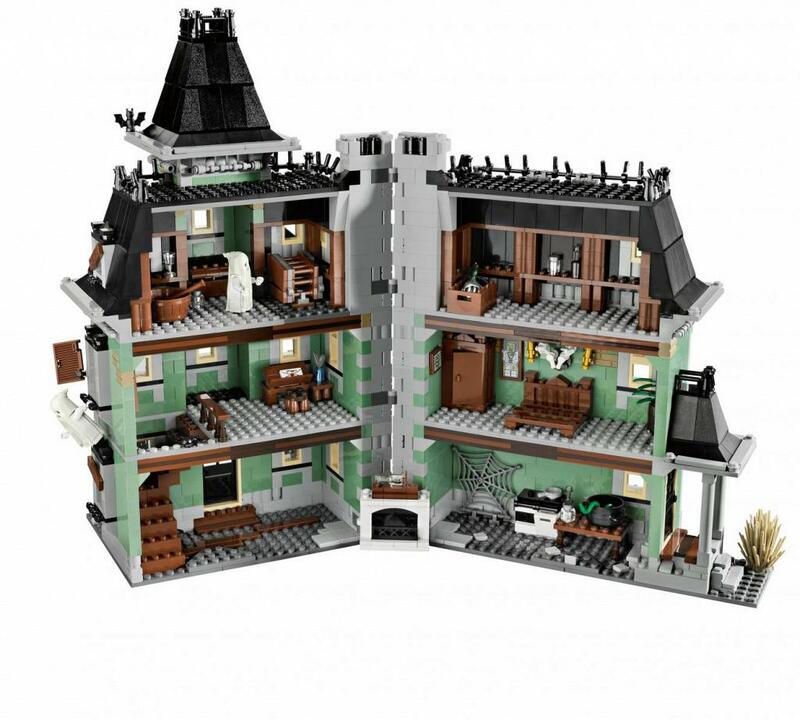 •	Haunted House opens to reveal detailed interior with 3 floors. 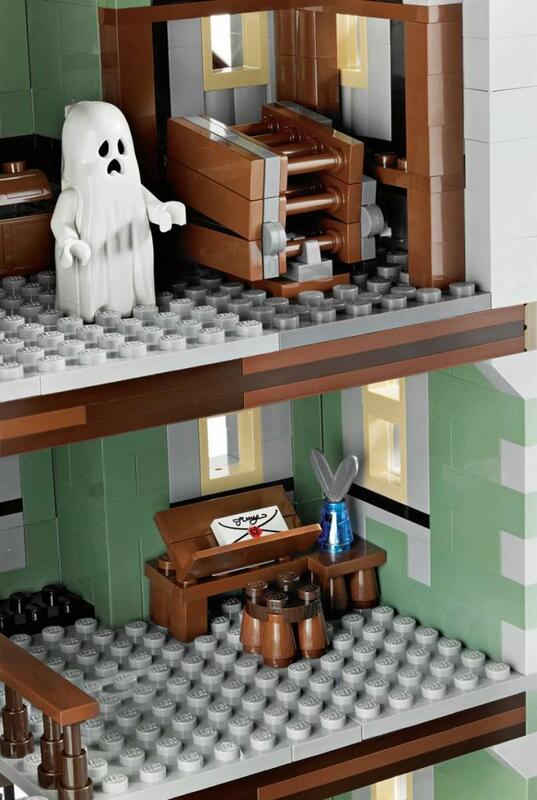 •	First floor features fireplace that swings open and displays a ship in a bottle on the mantle. 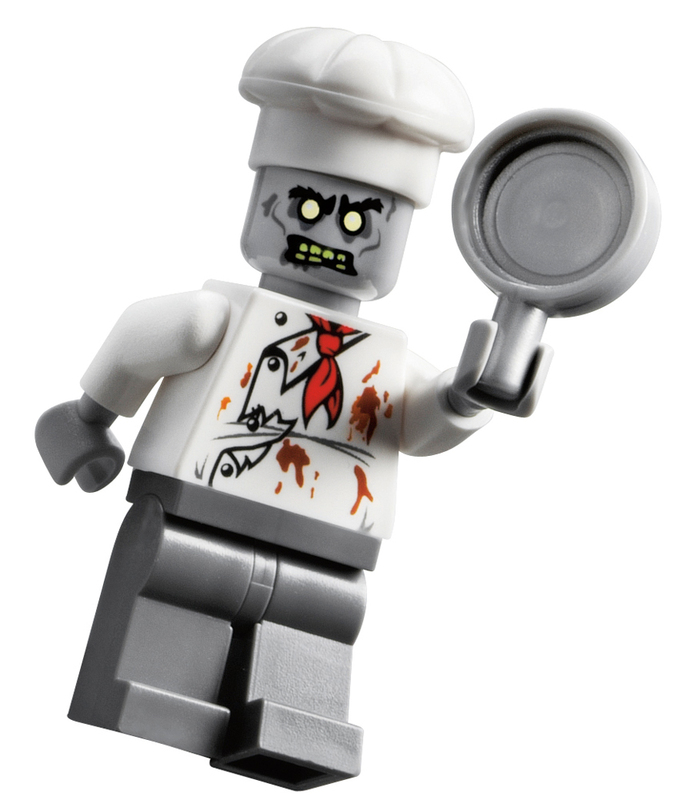 •	Cook up a ghoulish meal with the Zombie chef in the kitchen complete with old-style stove, jars and table. 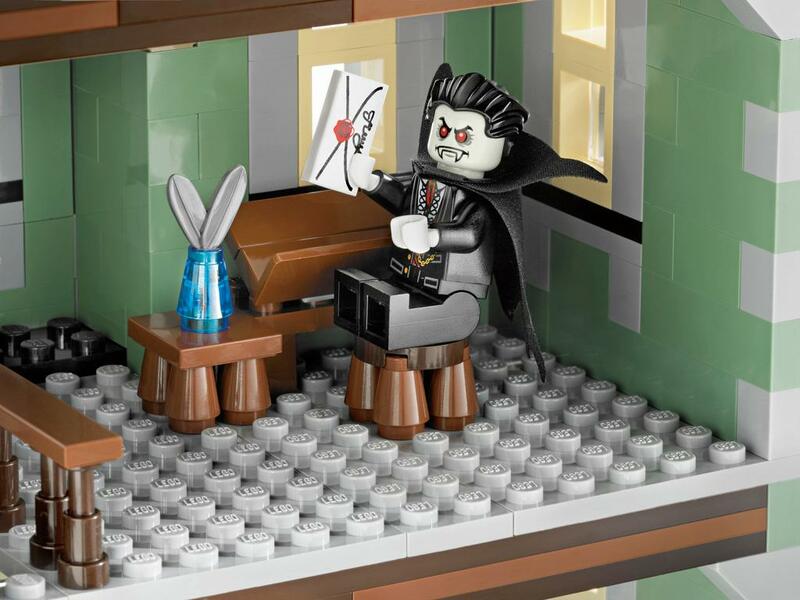 •	Write letters from the Vampyre’s haunted office. 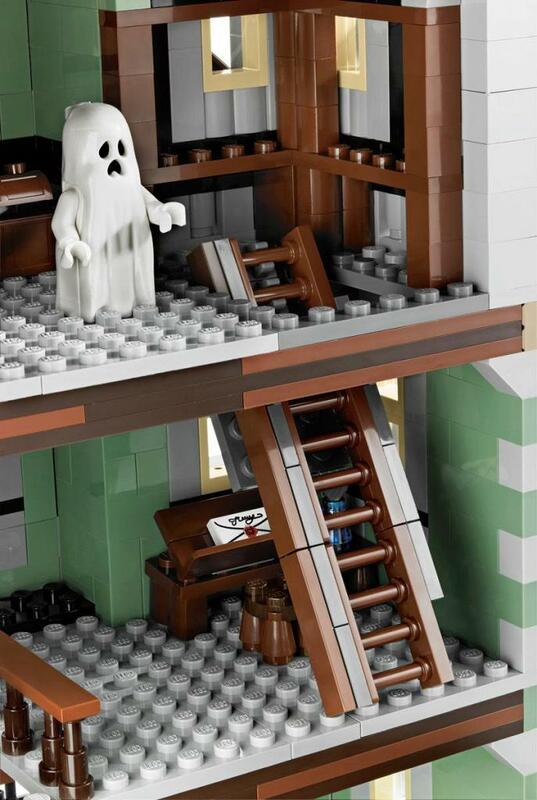 •	Pull the lever hidden in the chimney to release the drop down staircase and access the top floor. 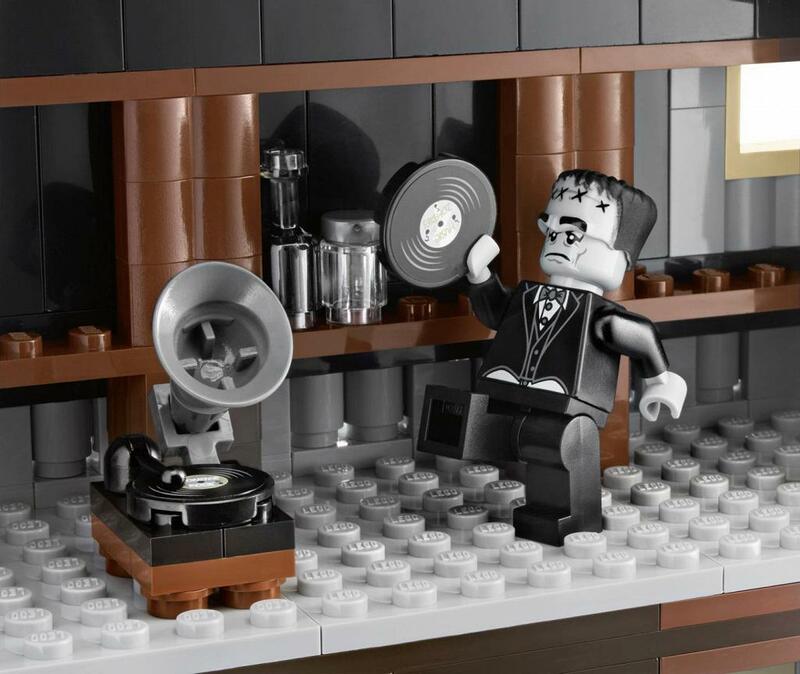 •	Top floor features gramophone, records and newspaper LEGO® elements. 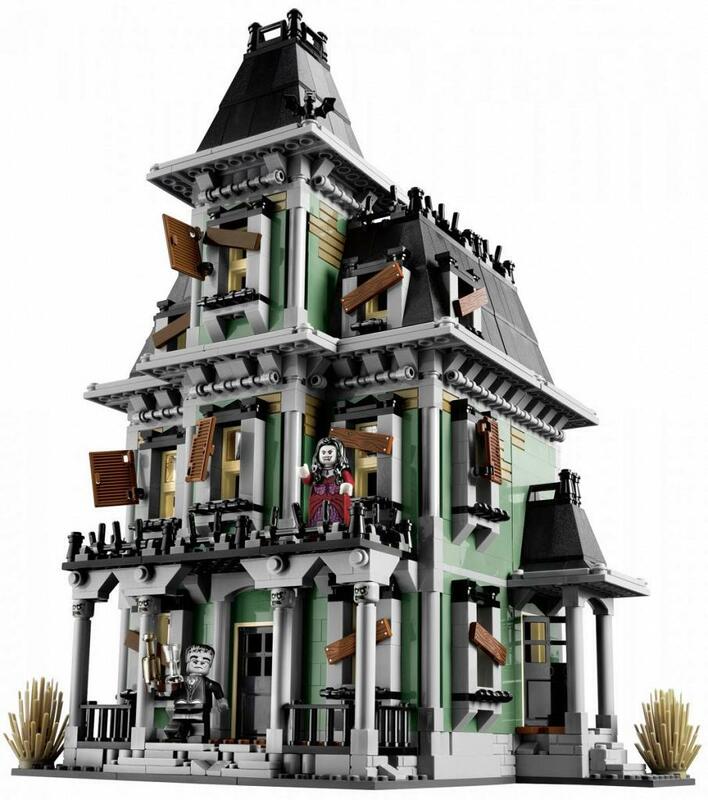 •	Customize the Haunted House with new stickers for wall hangings, spider webs and curtains.